Conservation of our heritage and attracting investment. The Filanda has such a rich history, it would be tragic to see it fall into decay. Historical Property Seeks Investor For Long Term Relationship. There are fifty-four UNESCO world heritage sites in Italy, so it's hardly surprising the Italian treasury groans at the expense of maintaining them. And it's not only listed sites, Italy is full of historical buildings, left to deteriorate through lack of money to restore them. 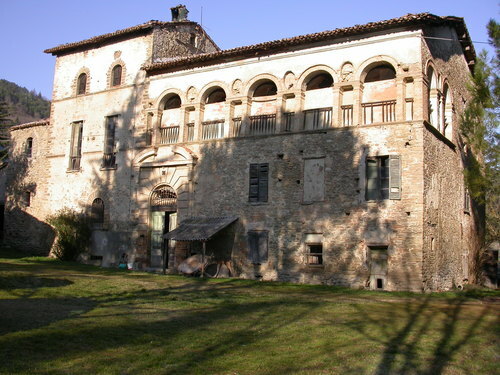 Now, Modigliana council in Emilia Romagna has come up with a novel idea to conserve the historical and cultural heritage of the area by putting the Antica Filanda del Casone on sale for only 1 Euro. Filanda del Casone was once a Dominican monastery, but it began life as the first steam powered silk spinning mill in Italy. Cristina Rossi, the council's director of public works said the initiative was all about " Conservation of our heritage and attracting investment. The Filanda has such a rich history, it would be tragic to see it fall into decay. " The council are open minded regarding future use. The property can be residential, or used as a commercial activity such as a B&B or luxury hotel. If you are thinking of investing, take note that the sale comes with the obligation to renovate the property and with a floor area of 1,267 m2, significant funds are required. Read our Blog for more details about the history of this fascinating property. The town of Modigliana has a beautiful historic centre and access couldn't be easier: Bologna airport is 78 km away, Forli 31 km. The Adriatic coast is at 60 km while the A14 motorway can be reached in 30 minutes and Florence in an hour. This press release was distributed by ResponseSource Press Release Wire on behalf of Realpoint Property Ltd in the following categories: Business & Finance, Travel, Construction & Property, for more information visit https://pressreleasewire.responsesource.com/about.